Digital Transformation is creating serious disruption in the business world and will continue to have a profound impact on large and small organizations worldwide. To understand the impact of digital transformation, we must first define it in a way that is practical. Digital Transformation is simply using innovative technology to redefine how you do business. Think Amazon. Think Uber. Think AirBNB. These companies are defined by digital transformation. If you look at things simply though, Amazon is an online retailer, Uber is a taxi service, and AirBNB is classified ads for rental properties. 1. The impact of Amazon is an expectation of immediate web-based self-service, fast delivery, 24x7x365 availability and 1-day or 2-day delivery. This expectation has had its effect on all of us, especially millennials who know little else. Millennials are our customers, future customers, and employees, so their expectations matter. 2. There is a shortage of workers, and digital transformation creates efficiencies that allow us to do more with less worker time. Digital Transformation may allow you to increase your sales by 20% or 40% without having to add people to your accounting or HR or customer service teams to support the additional volume. 3. If we don’t do it, our competition will. Automating how we do things is attractive to everyone. Things like web-based order tracking, automated order status updates, electronic contract delivery, automated invoice processing, and so much more are attractive and create a significant advantage with customers and suppliers. If we agree that digital transformation is important even to our local business, the next concern is how? How do we go about exploring the possibilities of digital transformation? Digital Transformation success lies somewhere at the intersection of “It would be awesome if we could…” and “How can we use technology to do this?”. For this reason, it requires a collaboration between technologists and your people who know your customers best. The technologists must have a keen understanding of the innovative technologies used to deliver digital transformation and yet not be burdened with the thought of having to implement. Very often this is not your day-to-day IT team, as they tend to turn down creative ideas, because they see the roadblocks and after all, every new initiative makes more work for them. The people in your organization who know your customers the best are different in every company. This could be salespeople or customer service or marketing or even executive leadership. The key is that whoever you bring together to set a strategy for digital transformation must be able to think beyond the day to day constraints of their work. They must be able to dream a little and throw out some ideas that seem a bit far out. Sometimes that far-out-there idea leads you to something that really works. The temptation when on a path toward innovation is to explore what the competition is doing or bring together the usual crowd involved in daily operations or talk to your line-of-business-software vendor. The problem with this approach is that it will just help you catch up to the status quo. Though this may be necessary, it is not going to lead you on a path of innovation, but rather down a path that is simply following the current trend of your industry. 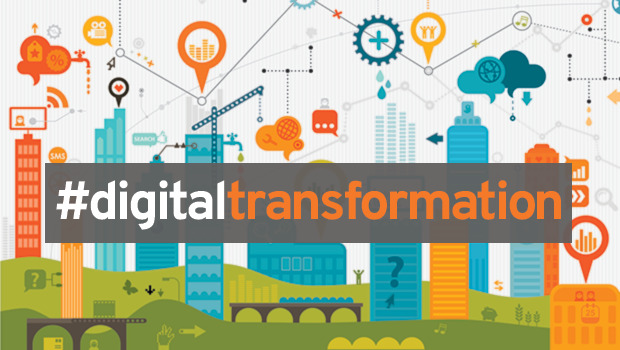 Digital Transformation is just that – transformative. Make sure your ideas are big enough. Make sure your team is thinking beyond the boundaries of their normal daily job. Involve someone from outside of your organization, if necessary to help you think bigger. And, don’t explore the “how do we do that” until you have a good list of ideas. Often the “how” puts a damper on creativity. Once you have developed some solid creative ideas, it is time for the second phase where you create a digital transformation strategy. This is where practicality begins. But at the same time be careful not to squelch the creativity. There are lots of developing and innovative technologies to enable the ideas that have been generated (these are a topic for another article). And, often a stepped approach makes a great path to create value while building something truly transformative. “What can we do now?”, is one of my favorite questions for taking steps in the right direction. Digital transformation will continue to carry us forward in 2019 and on into the next decade. Are you already on your way to creating transformation? What does your plan look like for this swelling wave of change?